District Superintendent Rev. Stephano Boyi talks about how a pastor uses his bicycle for evangelism and to supply for his family. District Superintendent Rev. 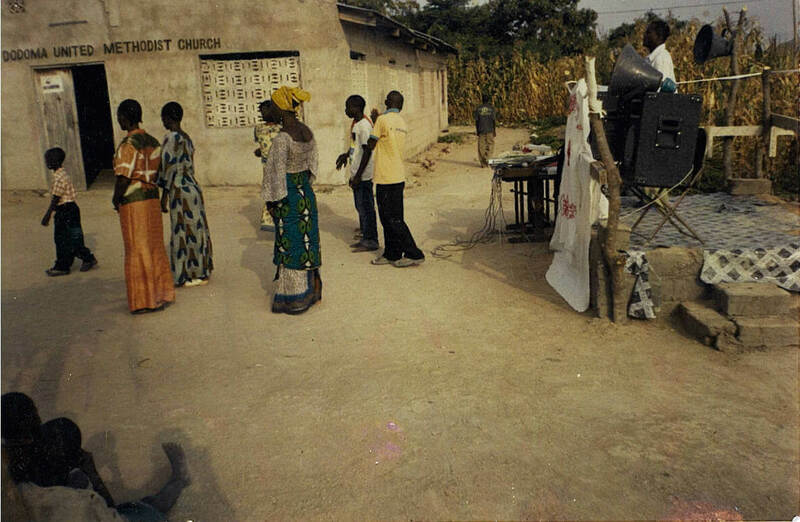 Stephano Boyi talks about how a pastor shares his bicycle with the members of his church. Below is a photo of the church where Rev. Boyi is pastor. They are setting up speakers for outdoor music and preaching for the village. Rev. Boyi lives in the back of the church as his parsonage.